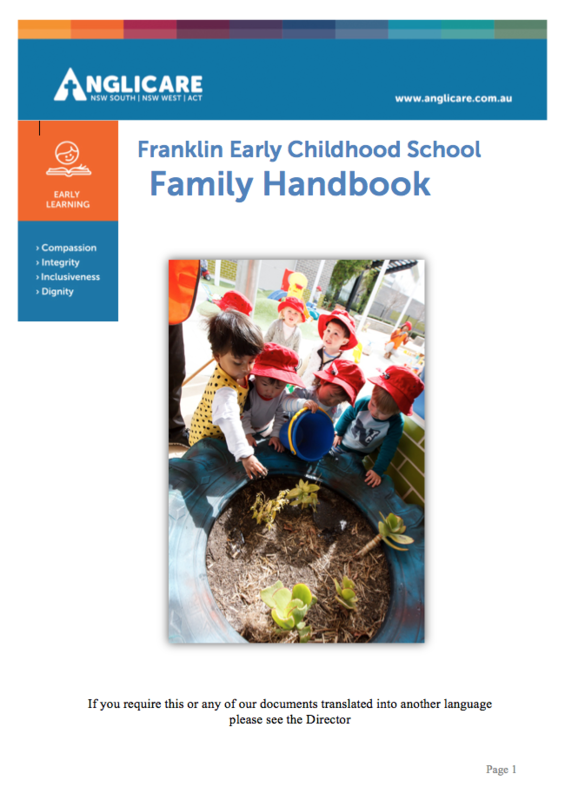 Anglicare at Franklin Early Childhood School offers long day care for children 6-weeks-old up to school age. The centre operates as part of Franklin Early Childhood School and provides before and after school care for children 4- 8 years old. During the school holidays, the centre also runs a holiday program that caters from children in Kindergarten to Year 2. The Centre’s opening hours are 7.30am- 6pm, Monday- Friday. To enrol or register interest for a place at Anglicare at Franklin Early Childhood School, click register and follow the instructions to create a ‘My Family Lounge’ account. 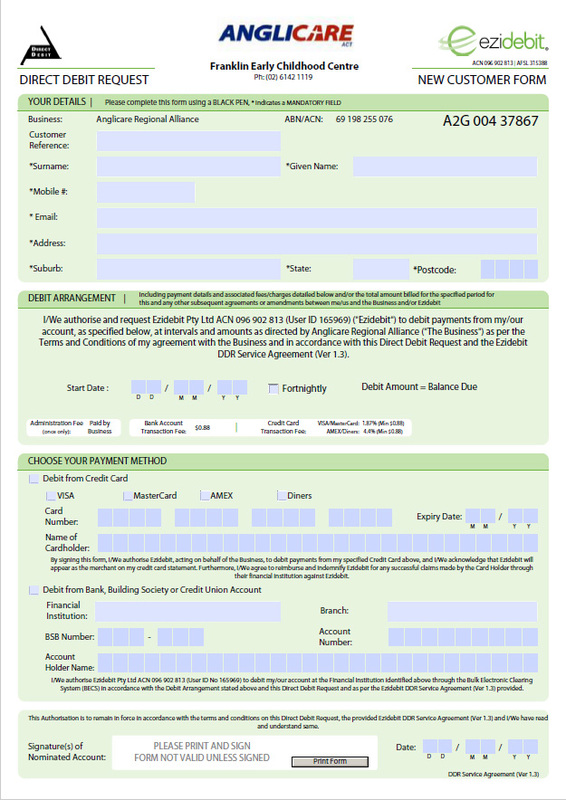 Please contact franklin.bookings@anglicare.com.au to receive an enrolment form. Applications for the above placements on ‘my family lounge’ cannot be accepted, as it does not allow us to offer fortnightly bookings. Applications for these enrolments will open on the 6th August, and places will be offered with priority based on date and time of application.